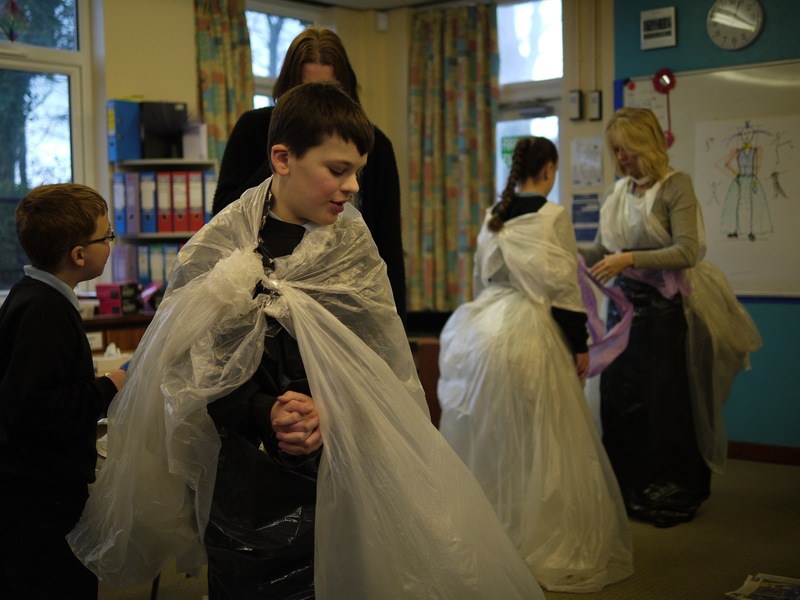 Trematon Area Resource Base Arts Award Programme – Grand Finale! 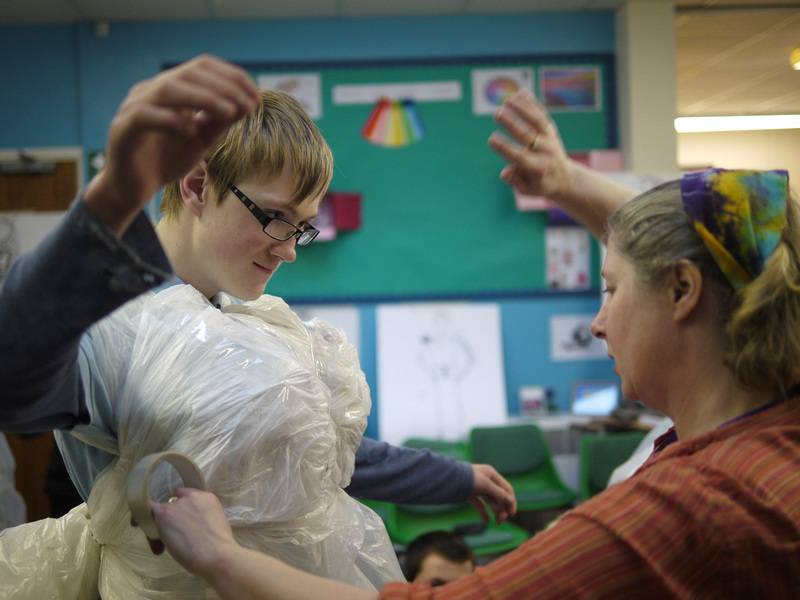 Meier Williams, local artist has led students in following an Arts programme over the past year. 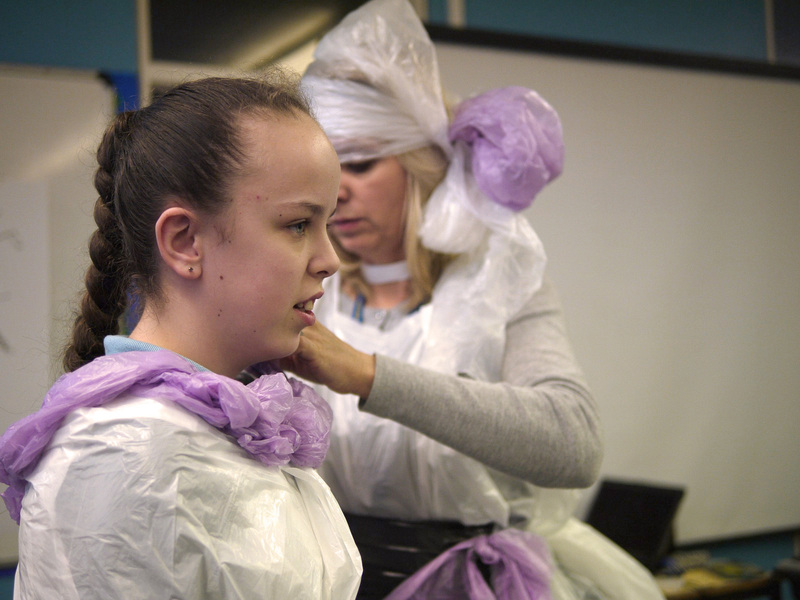 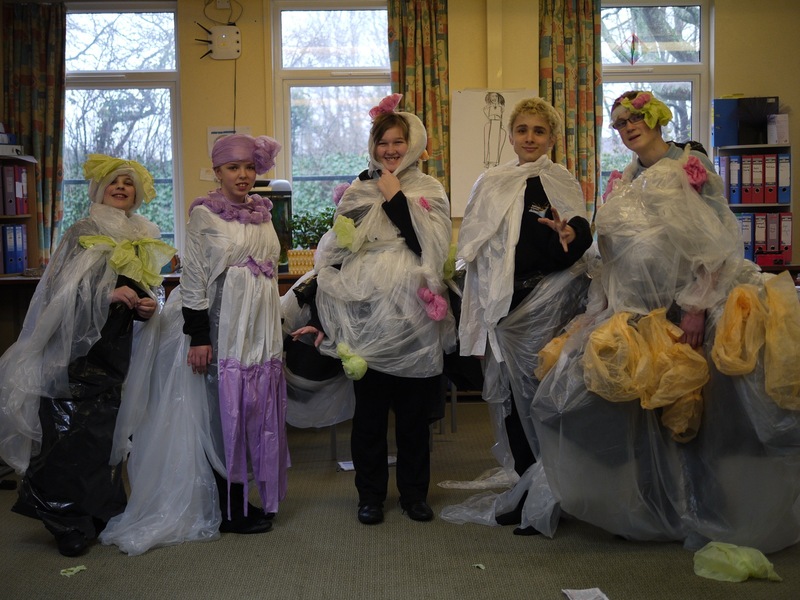 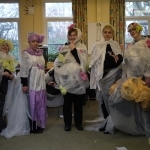 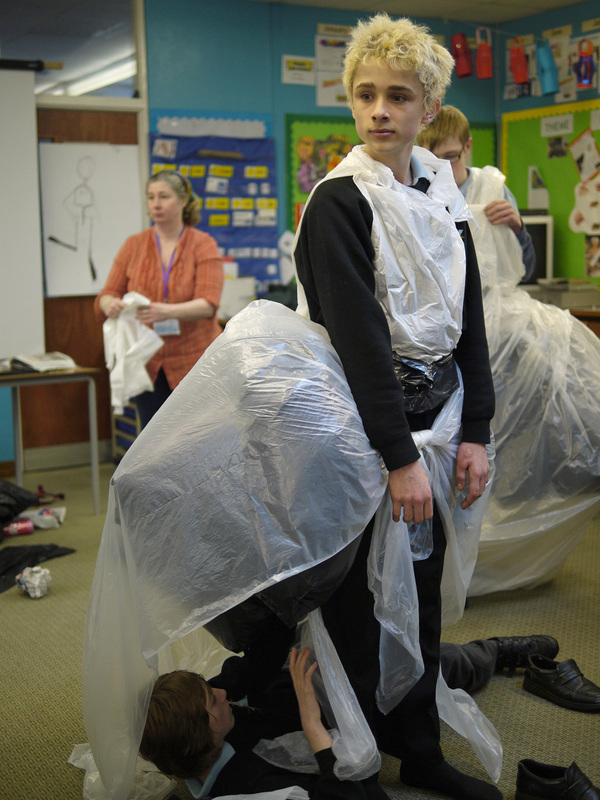 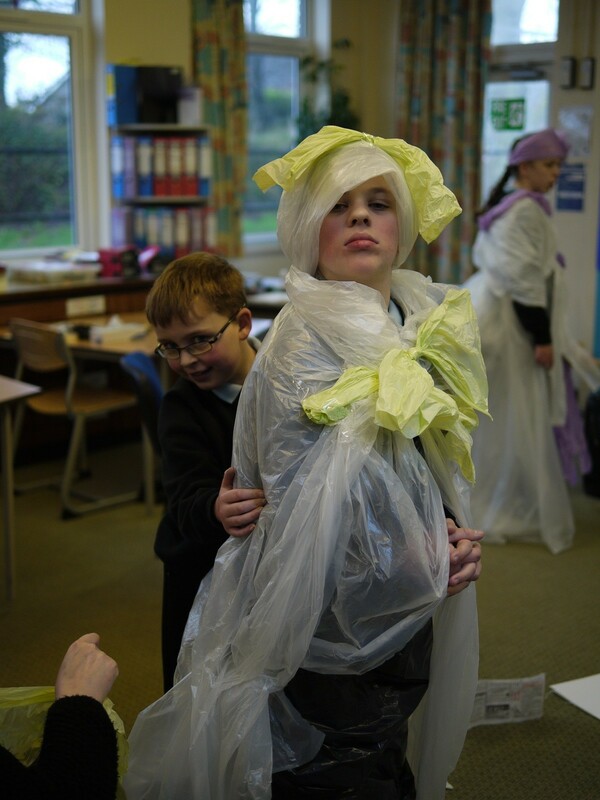 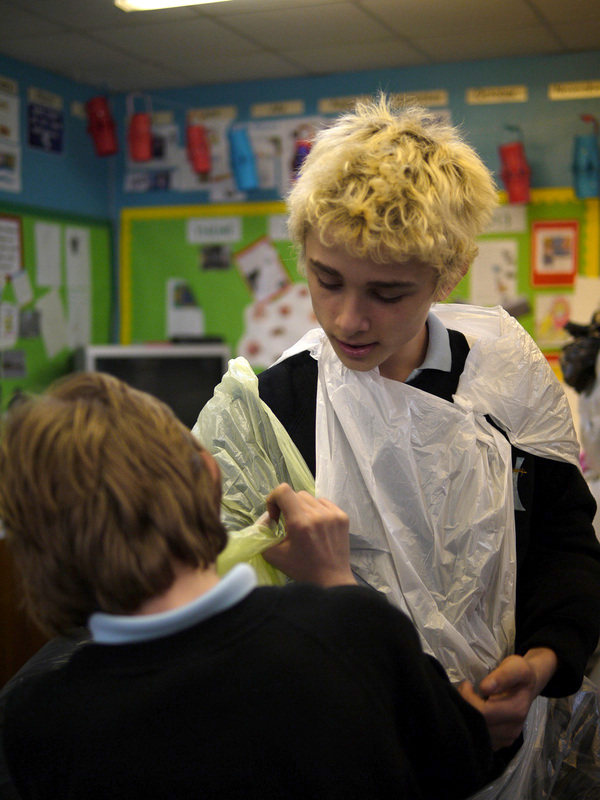 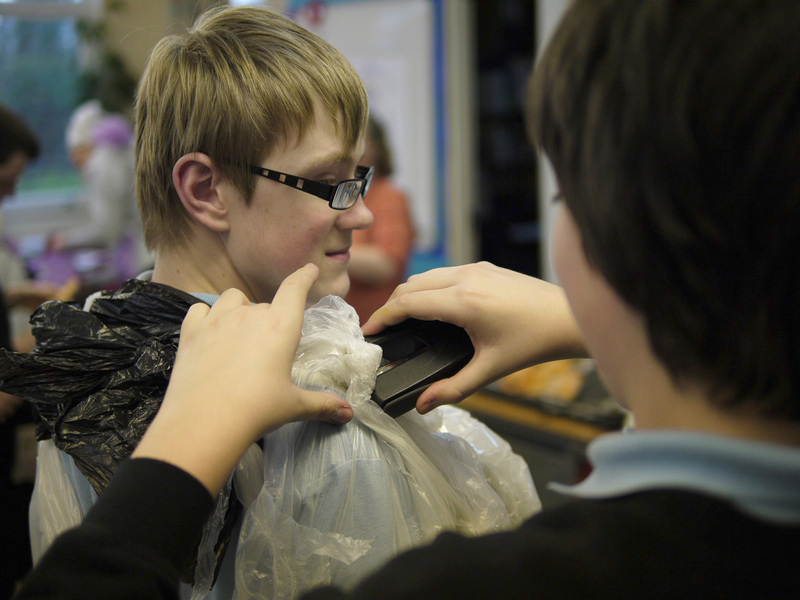 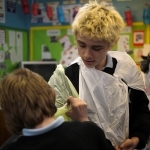 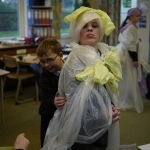 Her enthusiasm and that of the students has led to an outpouring of creativity culminating in a morning of costume design and a fashion show – using simply plastic bags, sticky tape and staples!